When it comes to covering your commercial auto, look no further than Gould. Since 1907 Gould has been serving the commercial auto needs of Florida residents, including tow trucks. If your income is earned towing or offering roadside repair to broken down vehicles, you will need Florida tow truck insurance. The commercial auto specialists at V.W. Gould Agency can help you get the coverage you need for your tow truck business. Our goal is to provide you with professional expertise and coverage that fits your tow truck business insurance needs. The transportation industry is highly regulated and insurance is required by law. It is important to be sure that when operating you have the right tow truck insurance coverage in place. With access to competitive Florida commercial auto insurance markets you can be sure that with Gould you are getting the right coverage at a competitive rate. With over 100 years of insurance services to the commercial auto industry, you can be sure that your tow truck business is covered by none other than the best. 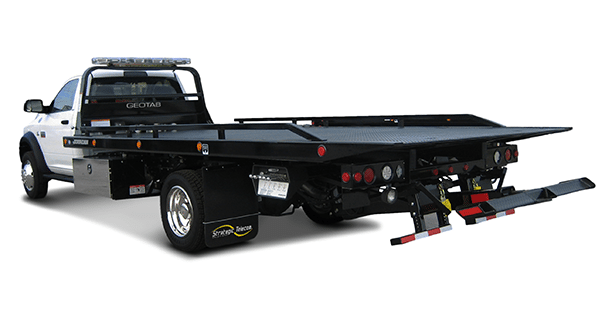 For a free quote on Florida Tow Truck Insurance, call us today at (386) 734 3970.